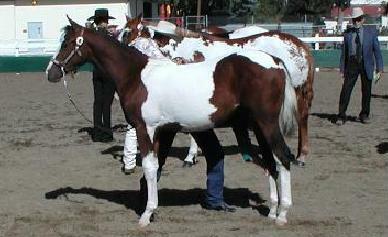 Bay Tobiano - Very Pretty Filly. 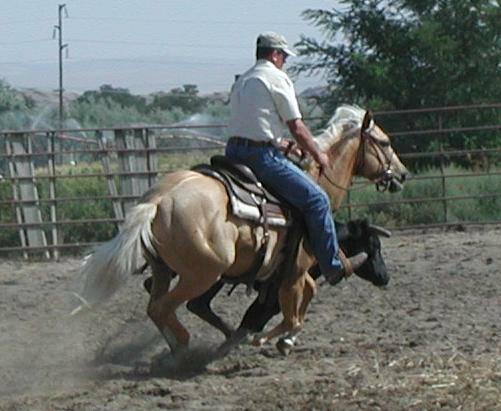 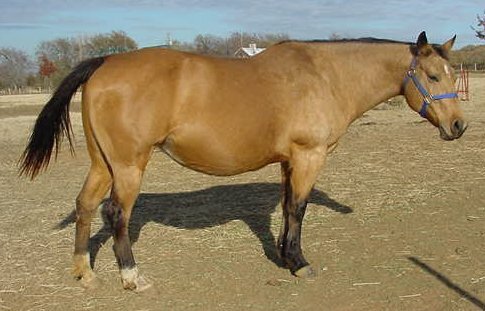 Peppy is a 2004 AQHA palomino stallion, he is foundation bred at 89% NFQHA. 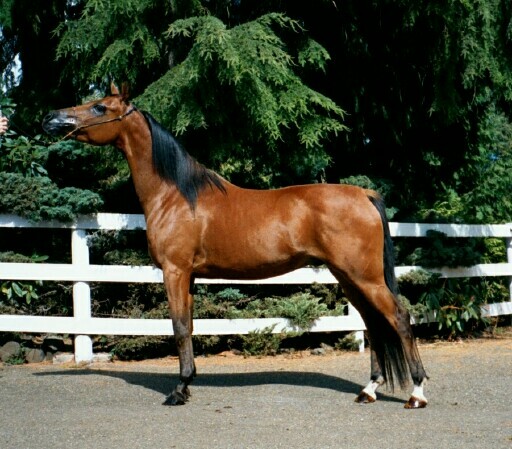 He is well bred and will make a nice stallion or show horse. 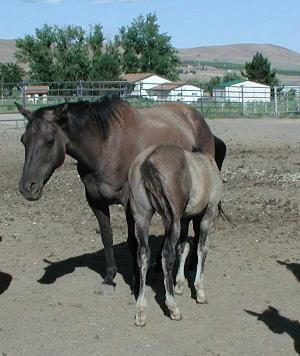 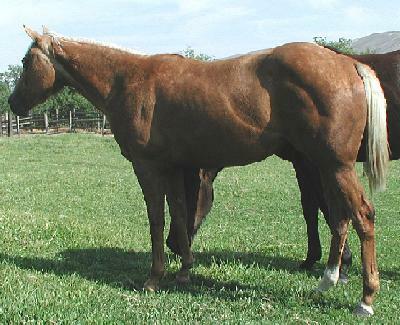 "Kali" is a grey AQHA/NFQHA mare, NFQHA 91%. 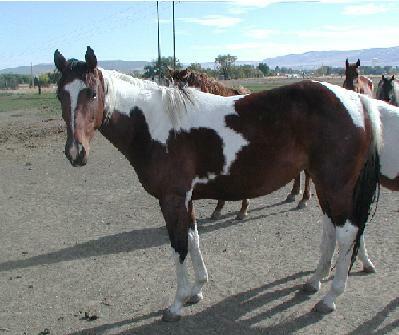 She is very friendly, broke to ride. 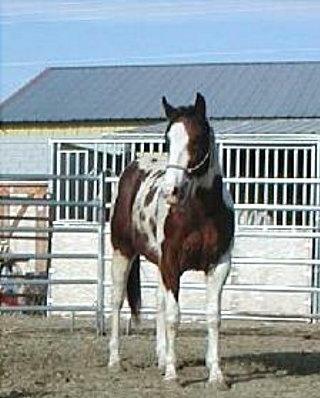 Has had reining and was started on cows. 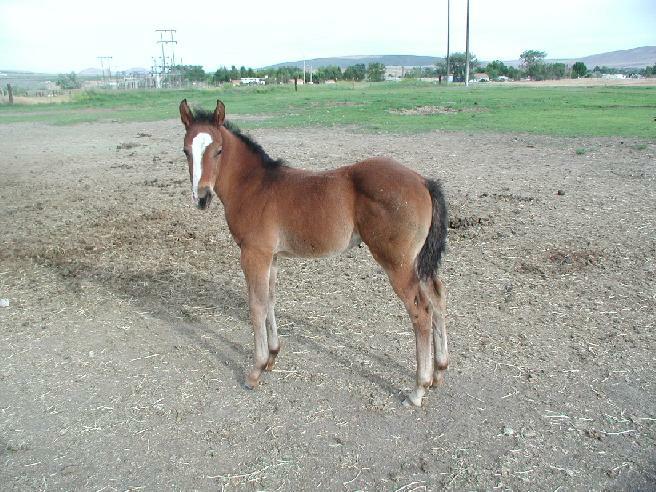 This mare produces very nice babies. 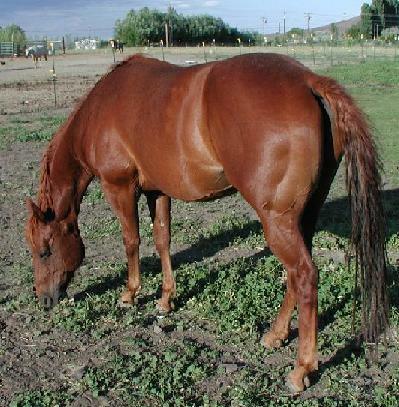 She is a registered AQHA & qualifies for NFQHA at 82%. 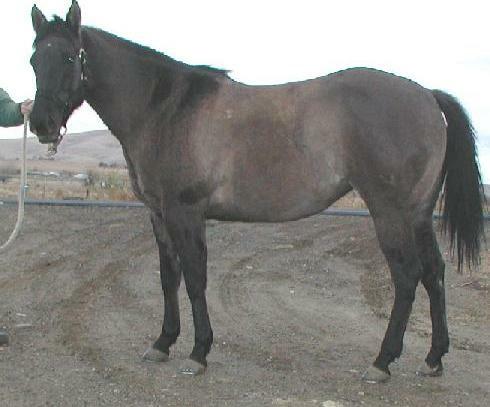 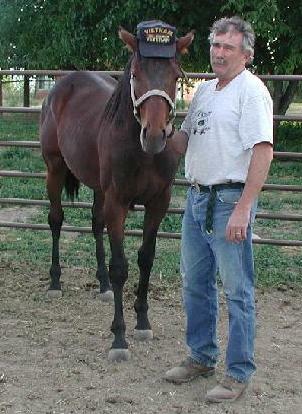 "Molly" is a beautiful black AQHA/NFQHA mare, NFQHA 89%. 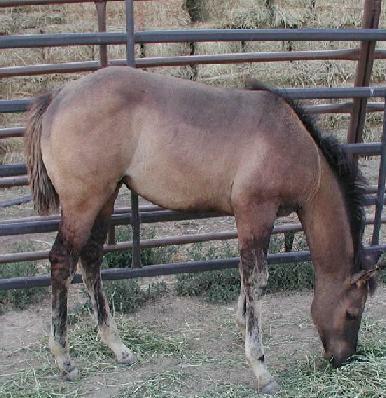 Tucker is an AQHA grulla mare, She is very friendly, broke to ride.